Video games have come a long way since the days of Space Invaders. A few decades ago, text-only input was the height of interactivity. Now we have augmented reality devices and a booming industry that earned over $36 billion in 2017. Modern technology allows for more immersive experiences, but it also opens the door for aggressive monetization. Game design now takes a backseat to microtransactions and loot boxes, threatening the fun and innovation of video games in the name of pleasing company shareholders. Enjin Coin has a plan to set the gaming industry back on track. The blockchain project lets developers integrate Enjin Coin into games to essentially replace in-app currencies. Items purchased through the platform are then stored in the user’s wallet, giving them full control and ownership over every item. Enjin Coin also gives guilds, fan communities, and esports teams access to monetization tools. Minecraft groups are already using Enjin Coin to power virtual marketplaces. Fans get new items and new experiences, and server managers are always able to pay the bills. Giving players a sense of value and ownership is crucial to the continued success of the gaming industry. It puts attention on the experience of games, not monetization tactics. Players will see real value in owning a piece of their favorite franchise. If game developers want to capitalize on that, all they have to do is give the players what they want: more great games. Gaming as an industry started with upright cabinets sitting in sticky-floored arcades across the world. Pop in a quarter, play until you die. It was simple, mindless fun, and not a bad way to spend an afternoon. If you weren’t careful, though, you could blow your entire allowance in an hour, and the only thing you’d have to show for it were initials on a high score board. Consoles hit the scene in the late 1980s and seized the home entertainment market. The convenience of having infinite-play games in the living room was hard to resist. The biggest revolution was owning titles instead of just renting time with them. Players had permanent copies they could explore at their leisure. No rush, just sit down and enjoy. After the rise of digital services such as Steam and Direct2Drive, downloadable content was the next natural step. Without the burden of physical products to ship, developers could offer new paid content to extend the life of a game. All players had to do was buy the DLC for a few bucks and they were free to game on. But DLC turned became a slippery slope, especially when mobile gaming rose in popularity. Instead of extending a game through purchasable extras, developers subtracted content normally included in a game’s purchase price, then charged players piecemeal to add those features back. Some devs even worked in ways to restrict how long a game could be played, forcing users to buy extra play time. 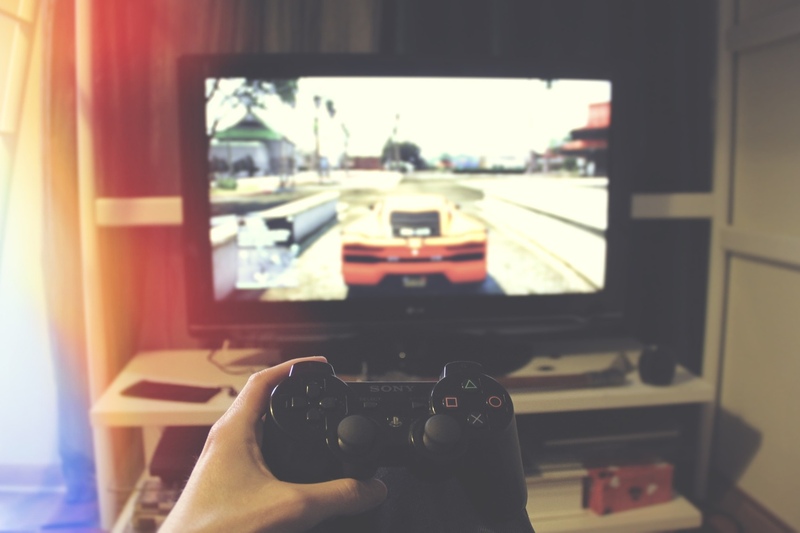 Video games started as unique forms of interactive entertainment that pushed technology to its limits. Now the most intricate design decisions focus on monetization, not entertainment. The decline culminated into one of the most hated terms for modern gamers: microtransactions. The first clear sign that DLC and microtransactions were getting out of hand came in 2006. Bethesda Game Studios released an item called “Horse Armor” for The Elder Scrolls IV: Oblivion, a single player offline-only RPG. After buying the game, players could spend an additional $2.50 to get an ornate golden outfit for their horse. And what did players get for their $2.50? A different-looking horse. No stat boosts, speed increases, or new quests to enjoy. A different. Looking. Horse. Microtransactions led the way to loot crates, one of the most insidious forms of monetization in the industry. In games with loot crates, players fork over a few bucks in exchange for a mystery box. Pop it open and players get a random assortment of items. Maybe they’ll get something rare, maybe not. The only way to find out is to give the publisher more money and take a gamble. The loot box controversy reached a peak in 2018 thanks to Electronic Arts and Star Wars Battlefront II. The drama started on a reddit thread complaining about the high price of an in-game purchase. It quickly spiraled out of control. EA didn’t handle the criticism well, leading to the most downvoted comment in reddit history. Creating a good game no longer means crafting an experience players will enjoy. It means extracting the most money possible out of a crowd, no matter what has to be done. Rework the game around microtransactions? Go ahead. Silence the most dedicated fans? As long as shareholder profits go up, it’s all good. There’s nothing wrong with monetization. Players want to support the franchises they love. They don’t want to throw money in a pit for no reason, however. They want value, and they want ownership, two things blockchain technology does quite well. Blockchain’s ability to decentralize and democratize has disrupted a number of industries in the last few years. Gaming is ready for its own revolution, and blockchain could be just the technology to deliver it. In the current microtransactions model, gamers purchase in-game goods in exchange for cash. They use those items or experience DLC extras while playing the game, and… well, that’s really it. It’s a one-way relationship that’s not so dissimilar to the old arcade model of “pay a quarter, play until you die.” Only now it’s not quarters, it’s never-ending double-digit price tags. The situation doesn’t appear to be getting better on its own. DLC prices continue to rise while gamer satisfaction teeters on the edge of disappointment. Microtransactions are progressively less micro. Value and ownership are forcefully diminished so publishers can control more of the franchise and squeeze profits out of every release. 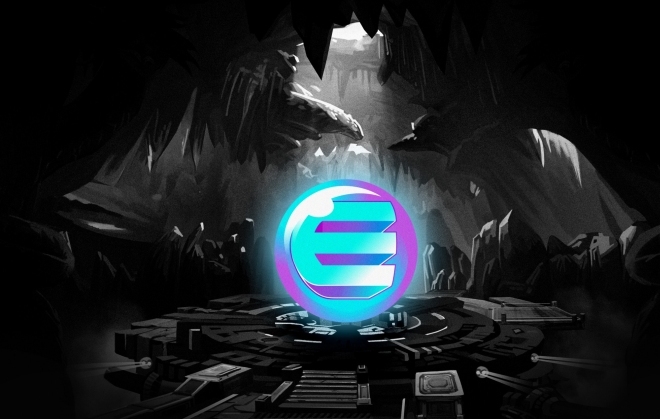 Enjin is a thriving community creation platform, launched in 2009. It currently hosts over 300,000 gaming communities, guilds, and clans with over 19 million registered users. The service manages millions of USD per month in virtual goods sales. 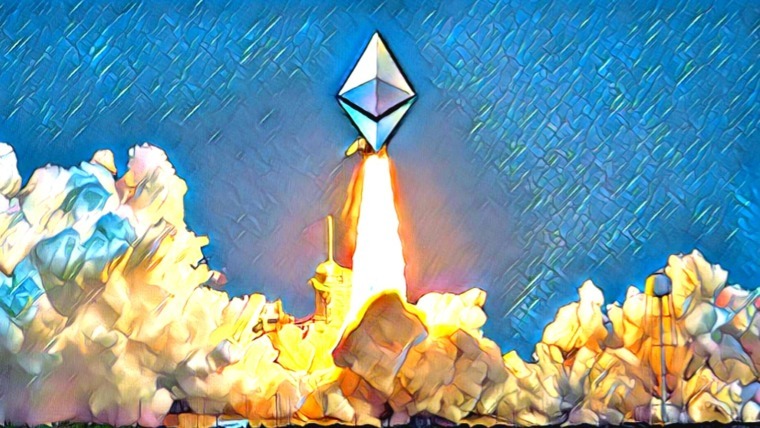 The Enjin Coin ecosystem is Enjin’s push into blockchains, and it could evolve into a genuinely disruptive influence in the industry. The basic idea behind Enjin Coin is to decentralize and universalize the monetization of games. Developers can integrate ENJ token purchases into their releases. In-game currencies are swapped with cryptocurrencies, bringing these game-exclusive rewards into the open digital world without sacrificing revenue. Gamers benefit from this model through ownership. Buying an in-game item with Enjin Coin means the player actually owns the content in question. It isn’t a check mark in a single game file, the item is stored in the user’s wallet and secured by the blockchain, everywhere. Items purchased in this method can be sold or traded by the player without interacting with the publisher. No longer want that fancy hat you bought for an online FPS title? Put it on the market. It’s yours to do with as you please. Communities and content creators can get in on the Enjin Coin action as well. The platform’s suite of APIs and SDKs allow for full virtual goods integrations. Fans can create and manage marketplaces, mind non-fungible items, launch rewards systems, and much more. Enjin Coin provides an off-ramp for the out-of-control gaming industry. 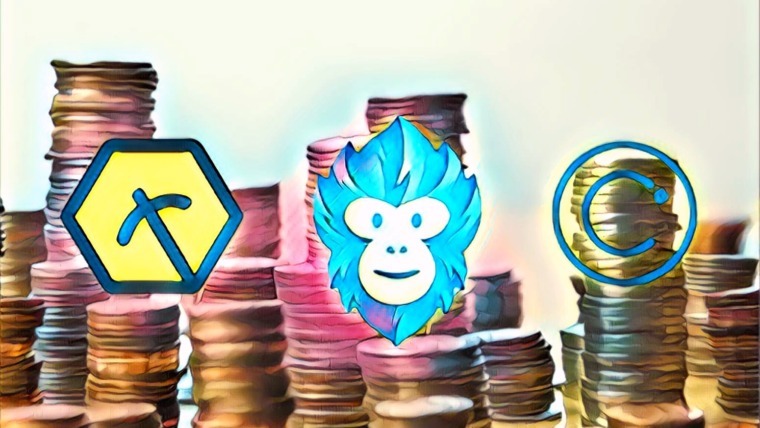 By integrating Enjin Coin into their releases, developers can take advantage of an already thriving ecosystem of fans. Users will flock to games based on their design and value and purchase items they actually want. Game creators stay in business, and game players contribute to healing a profit-hungry industry by directly funding innovation. 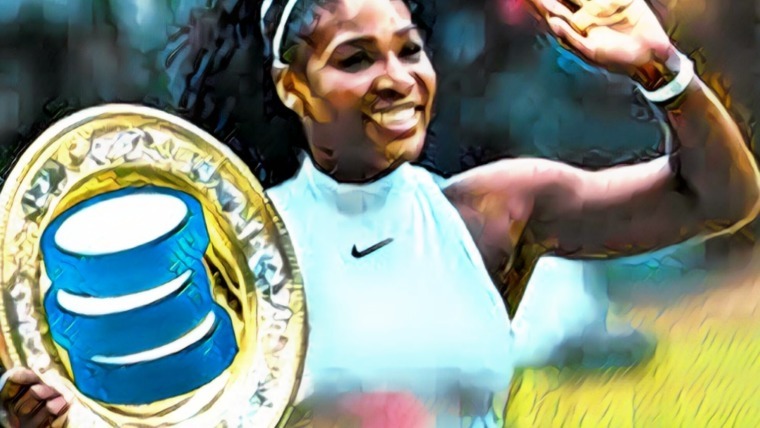 With Enjin Coin, everyone wins. 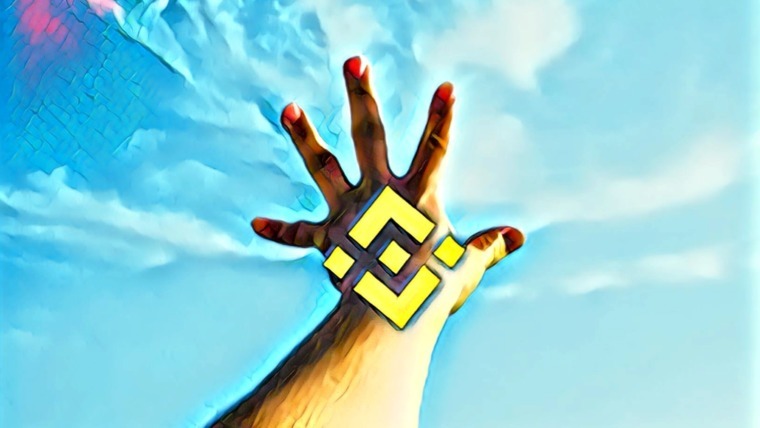 If projects like Enjin Coin are successful, blockchain technology could be a real revolution for the gaming industry. Ripping out content and charging additional transaction fees to rent experiences has taken the artistry out of game design. If monetization can be maintained without resorting to loot box or horse armor tactics, developers will start to focus on pushing the envelope with unique game ideas. The Enjin Coin manifesto is clear on the project’s goals: to bring fairness and purpose to gaming. The roadmap has SDKs and plugins rolling out for a wide variety of games and creation tools by the end of 2018, including boosted support for giants like Minecraft. In addition, Enjin is also perfecting its item management and multi-cryptocurrency smart wallet, building the user-friendly blockchain explorer Enjin X, and releasing a blockchain SDK for Unity, arguably the most popular and powerful game development system in the world. Enjin Coin could save the gaming industry from itself. All it takes is fans sticking to their principles, and developers realizing that gaming is about having fun. Learn more about Enjin Coin by joining their subreddit or following their blog.